I hate baking. 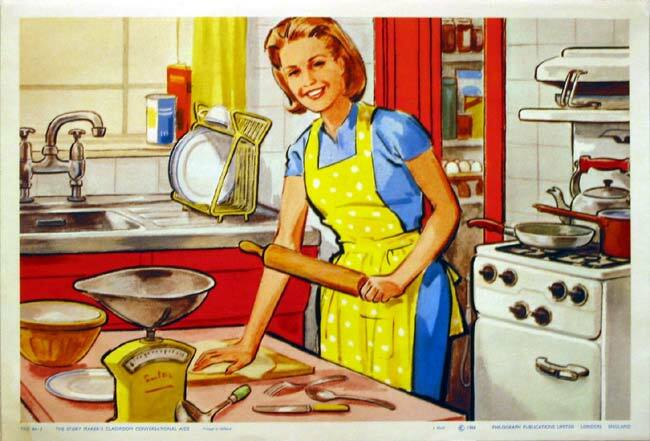 No, let me correct that – I’m afraid of baking. All the exactness of it, the “don’t open the oven until it’s done!” stuff, the science of it. Ask me to make a last-minute Thanksgiving dinner for 12? No problem. Ask me to bake a cake? HIVES. But that all changed when I learned that Ina Garten, the Barefoot Contessa herself, was intimidated by baking too, or more specifically, making pastry dough. Then she discovered frozen puff pastry. And I did too. It’s easy, it’s timesaving, it’s inexpensive, and it’s just a great short cut to creating simple, homemade desserts. Most of all, Ina approves. 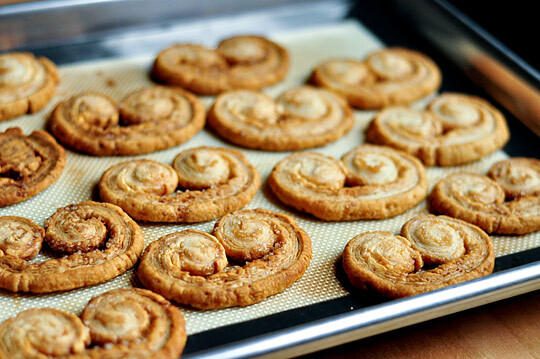 Here’s a simple but impressive recipe for Palmiers, sometimes called Elephant Ears or French Hearts. Why impressive? Because they’re French, fancy, and flaky. But shhh, so easy! Mix the salt with the sugar and pour half the mixture onto a counter or cutting board. Unfold the sheet of pastry dough onto the sugar and pour the rest of the sugar mixture on top, spreading it out evenly. Roll the dough into a 12”x12” square, rolling the sugar into the pastry. Idiot alert! If it’s your first time using a rolling pin, don’t get all excited and roll it out too large and thin (“Wooooo, I’m baking!”). You’ll burn whatever you’re doing because the bottom will be too thin. Now it’s time to fold and fear not – you’ll get it. Fold the two sides a quarter of the way inwards, then a quarter of the way inwards again so that they’ll meet in the middle. Then fold one half on top of the other, culminating in six layers, and you’ll now have a long vertical strip. Slice the dough into strips about ¼” thick and place strips on a baking sheet lined with parchment paper. Make sure you leave about 2” in between slices so that they can spread while baking. Bake for 10 minutes until brown and caramelized on the bottom, then turn and bake for 3-4 minutes more. Let cool on a wire rack and Voila! Fancy, French cookies you made all by yourself! *Tip Any puff pastry will do, but if you can find Dufour Pastry Kitchens Classic Puff Pastry, I promise you, you will never use another kind again. It’s crazy good, and no one will ever believe it’s store-bought. I found it at Whole Foods and almost wish I hadn’t, ka-ching!